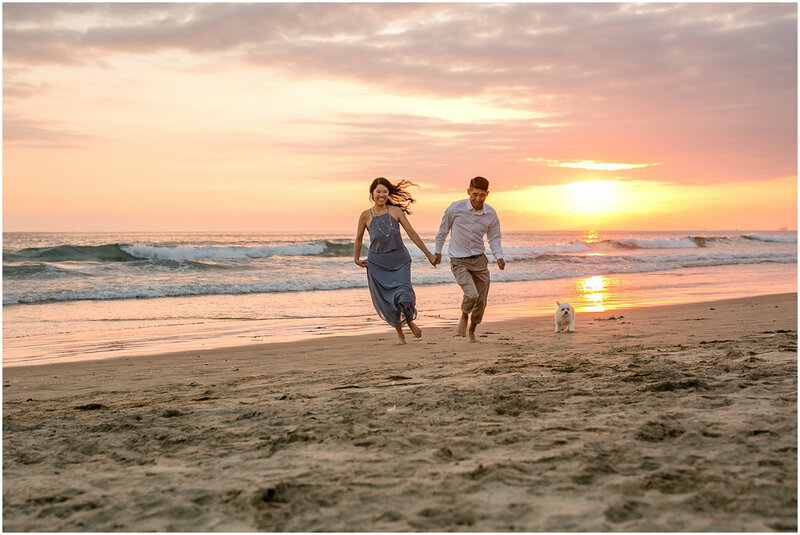 As if Bonnie and Tim's Disneyland engagement photos weren't fun enough, they decided to do a second round of engagement photos on the beach with their fur baby, Moby! I'm so glad they did! Coming from the Midwest, I have always loved the ocean. I blame my father for this with all his Jimmy Buffett, seafood and beach vacations! 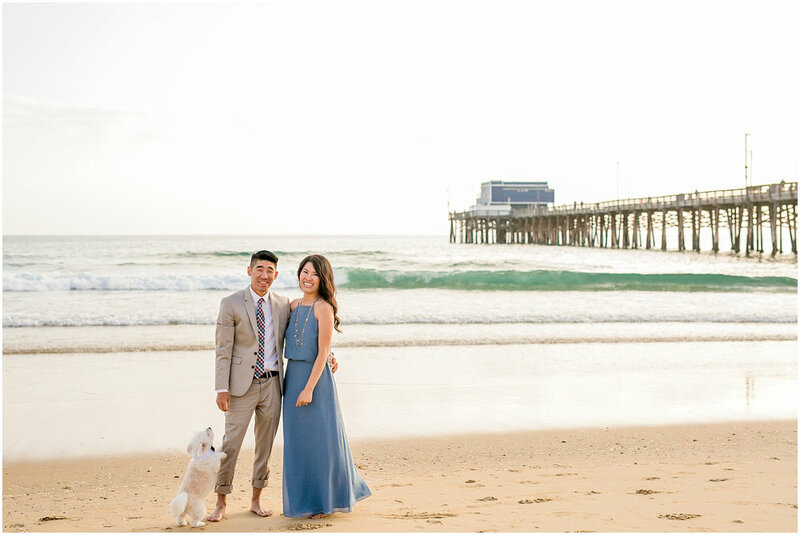 I think I will never get over the amazing reality of now being hired to photograph couples on the beach in Southern California. It is my absolute favorite! 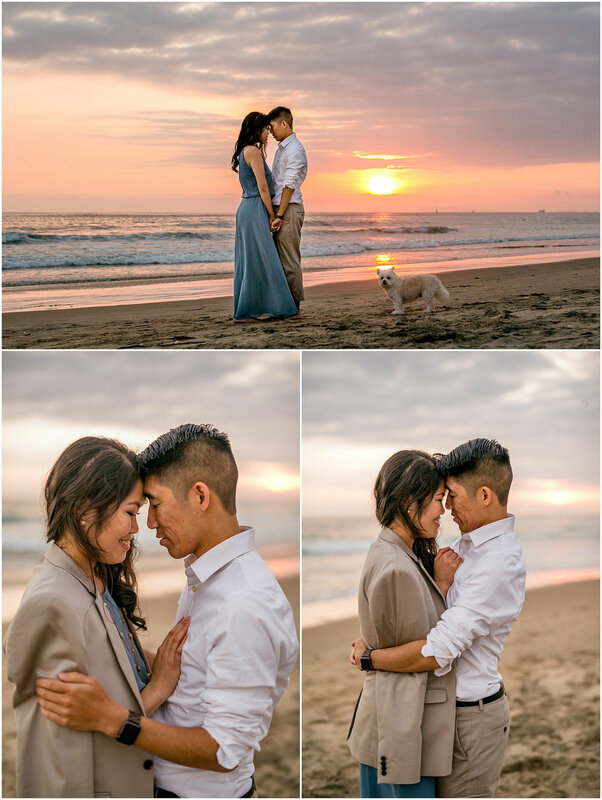 These photos and our evening on the beach were absolutely PERFECT! We even ended the evening with a trip to my favorite taco place in Newport Beach, Wild Taco! Yup, this is my job! Photography on the beach while barefoot, running around with puppies, and eating lobster tacos! Someone, pinch me! 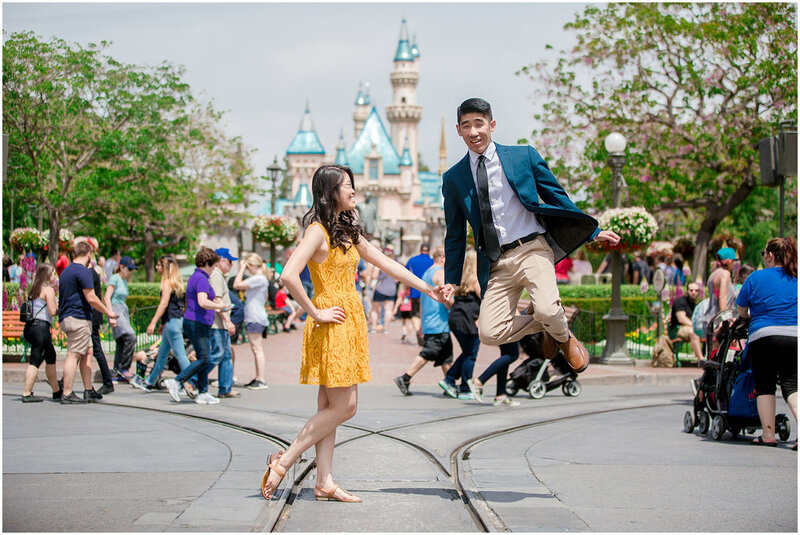 I CAN'T WAIT FOR THEIR WEDDING!!! Less than 1 month to go! This is the story of how I cut to the front of a 1-hour line for Space Mountain! Just kidding...well, kind of...keep reading! 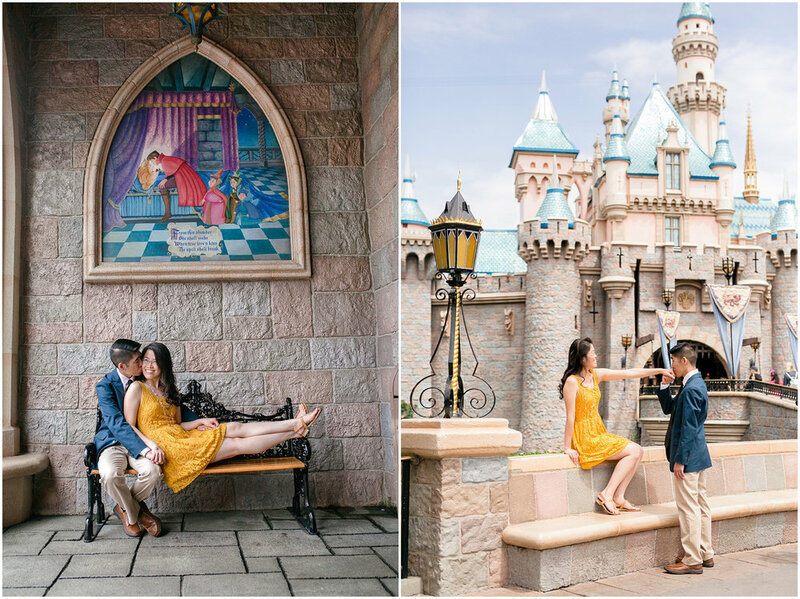 I'm so excited to share this engagement session at Disneyland in Anaheim, California! 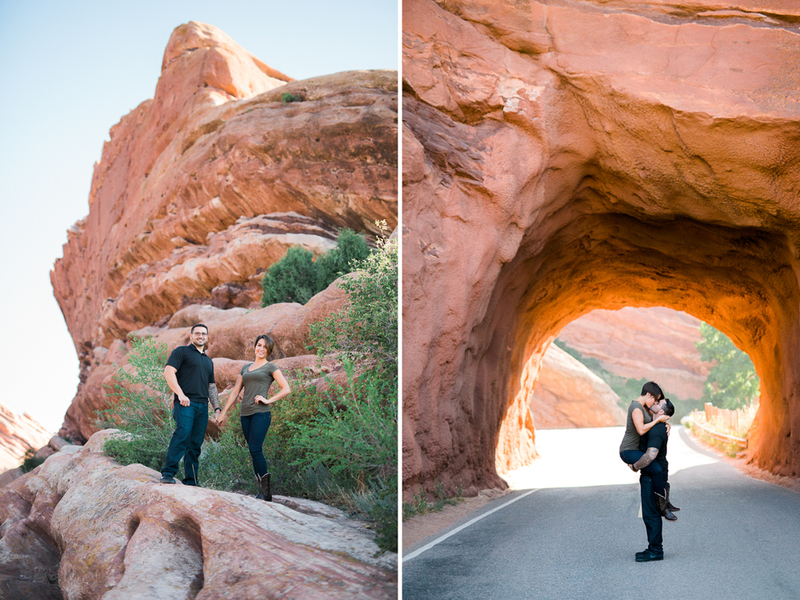 My day with Bonnie and Tim was truly magical and full of fun! From starting our day with yummy Beauty and the Beast "gray stuff" (If you ever go to Disneyland, try it! It's delicious! ), riding teacups, and carousels, balloons and bubbles, to Dole Whip it was all incredible! 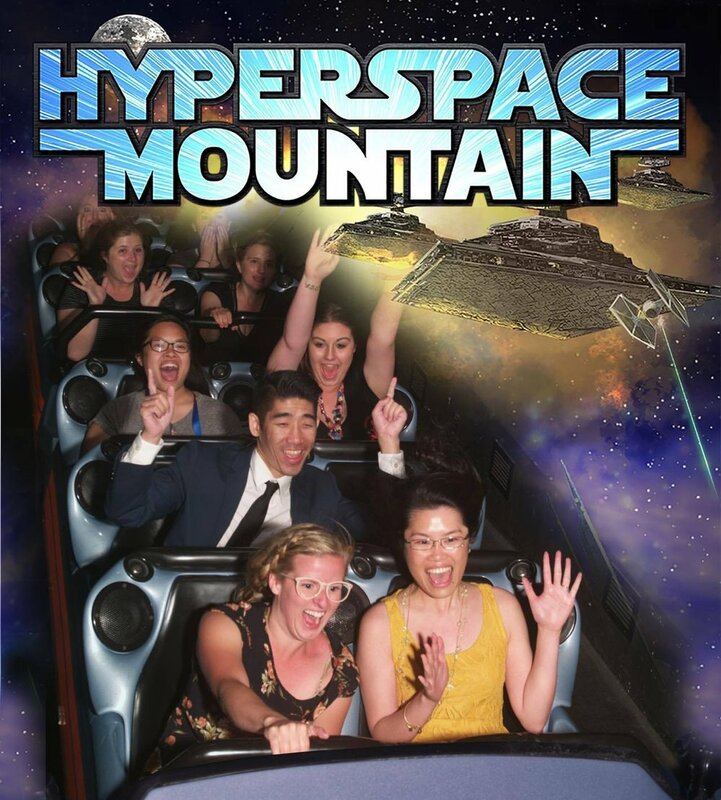 My favorite moment, however, was at Space Mountain! Tim proposed to Bonnie on Space Mountain. Yes, on the actual ride! 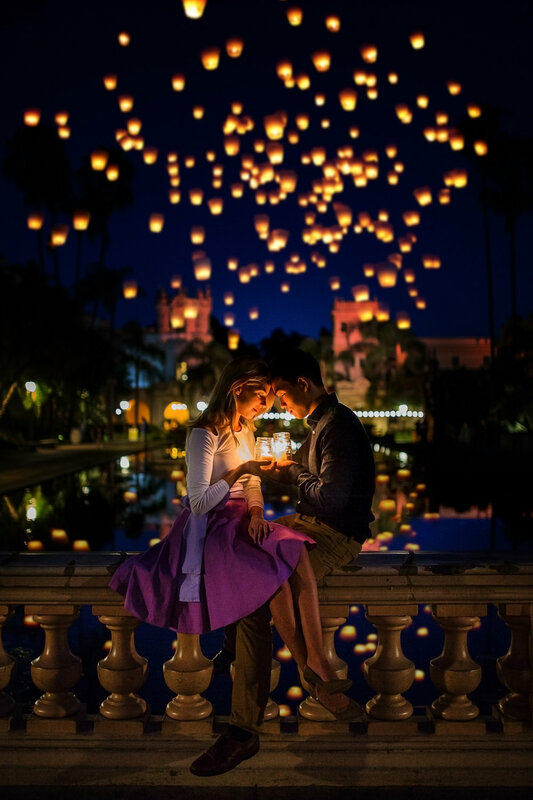 So, I wanted to go back to Space Mountain to recreate a proposal photo for them their. The staff at Space Mountain were happy to let us go up to where the line is to take photos with the iconic "space mountain sculpture" in the background. I suggested to Tim that he should get down on one knee and pretend to propose again for a photo. 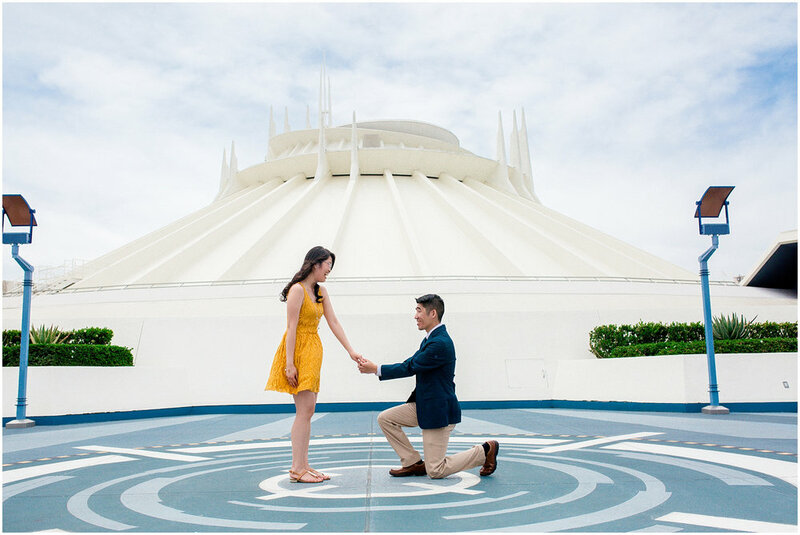 What we didn't know is that the ENTIRE space mountain ride was watching us and thought Tim was actually proposing. Cheers and applause erupted!!! 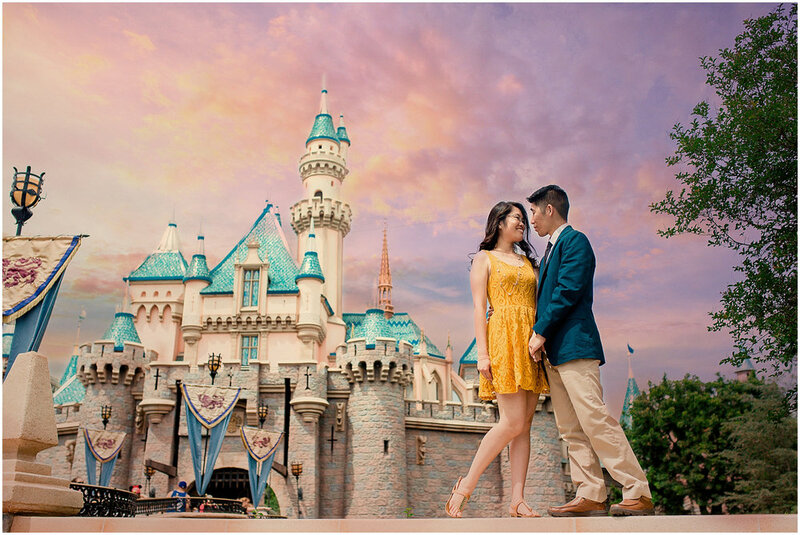 After the "proposal", Tim was able to convince the staff that he and Bonnie would love to ride Space Mountain again with their wedding photographer. They happily escorted us to the front of the line! Bonnie and I then rode together on the front row of the ride! 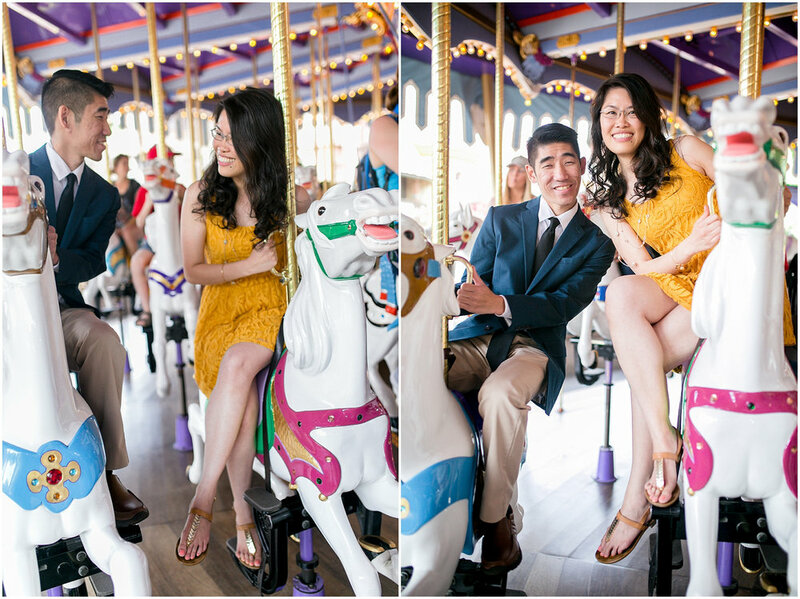 After the engagement session, my little son, Eli and his babysitter of the day were able to join us all for a ride on the Jungle Cruise and more! So fun and memorable! 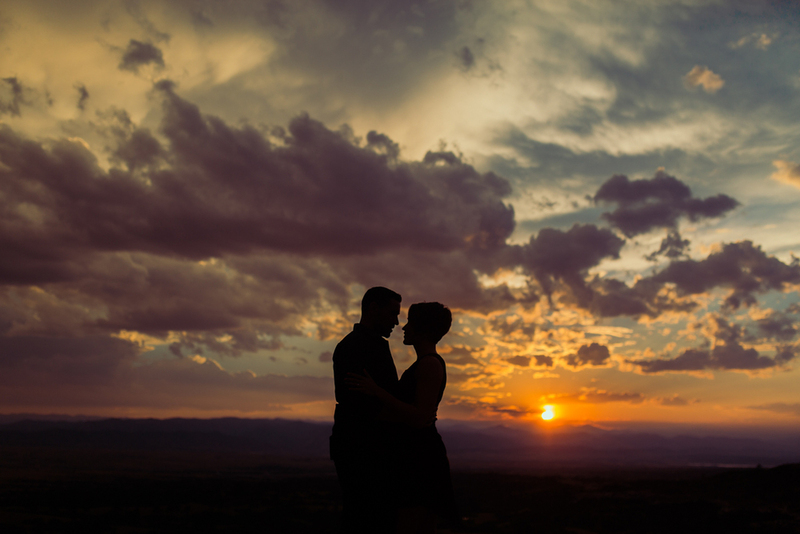 I'm so blessed to work with so many amazing couples just like Bonnie and Tim! 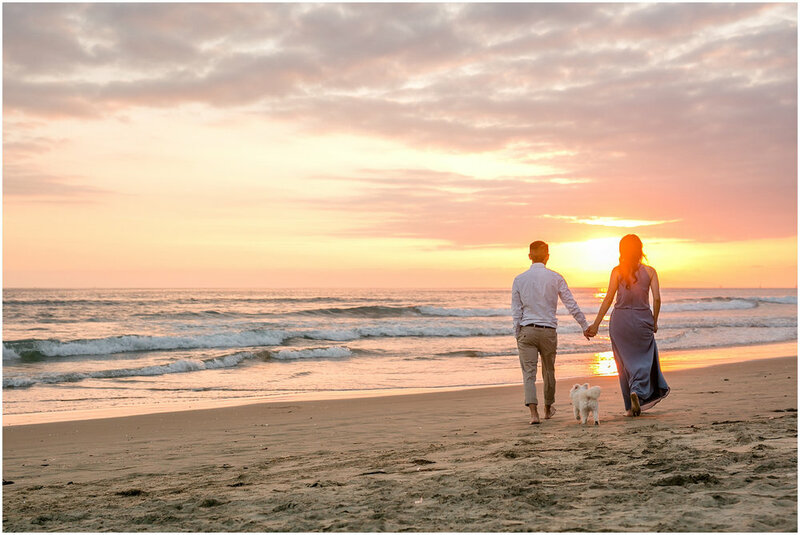 Check out PART 2 of their engagement photos on the beach HERE! 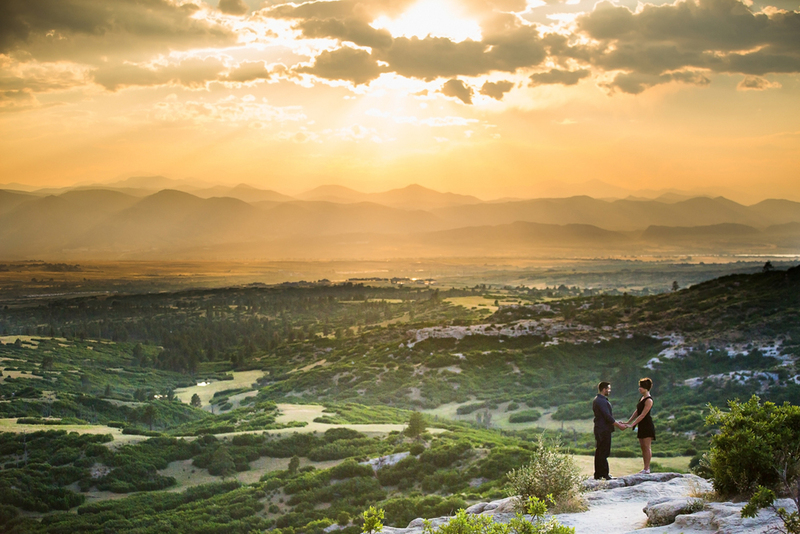 I'm so excited to share Part ONE and TWO of Shawntel and Aaron's engagement session! (Part 3 is a secret!) It's especially fun today because it is the lovely bride-to-be's birthday!!! Hooray!!! 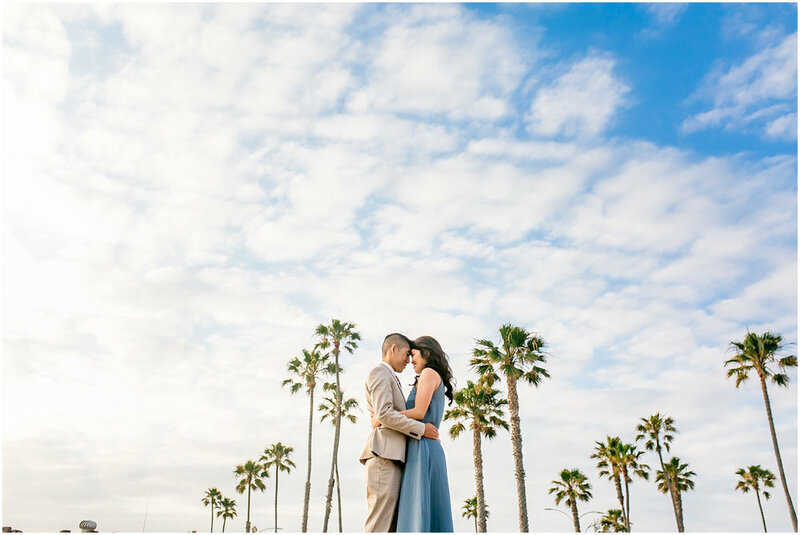 I had a fantastic time photographing these lovebirds in Newport Beach at the Lido Marina Village. 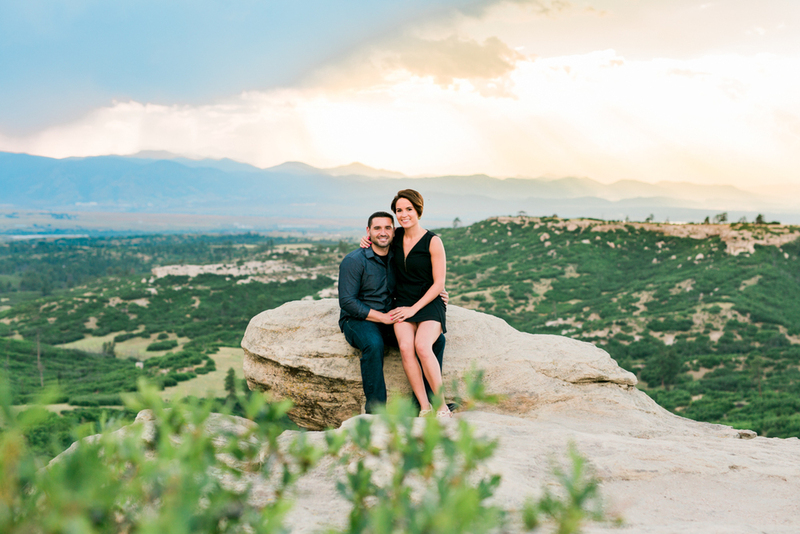 We started our session at the brand-new Honor Coffee Roasters, walked around the Marina, and then for part 2 we headed to Aaron's parents house for golden hour. 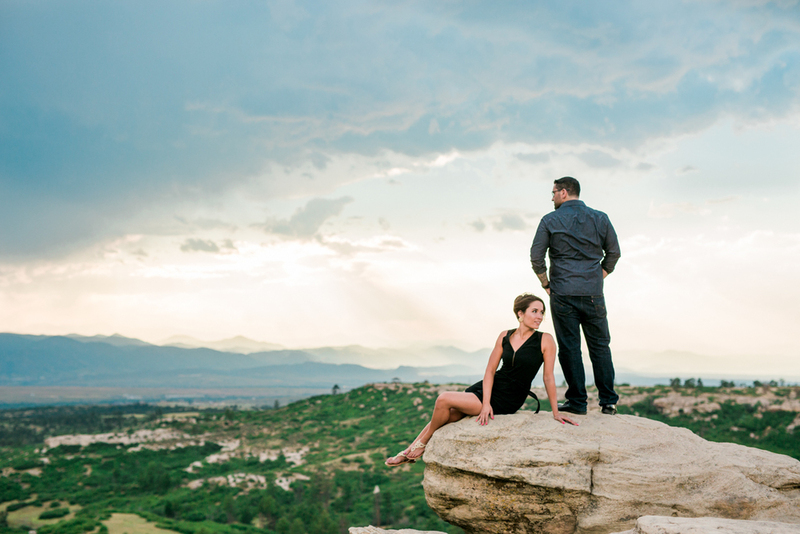 I can't wait to photograph their wedding in July of this year!